The University of Tasmania is ranked in the top 350 universities in the world, and is Australia's premier university for teaching excellence, receiving more teaching awards than any other Australian university. The University has 38,000 students of which 6,500 are international students from 100 nations. In the prestigious Academic Ranking of World Universities (ARWU), the University of Tasmania jumped eight places to be ranked 284th internationally (ARWU 2017). This places our University in the top 2 per cent of universities worldwide and reaffirms our reputation as a premier research institution. The QS World University Rankings result of 287 is another leap forward for our University, climbing seven places and ranking among the best in the world for Earth and Marine Sciences and Agriculture and Forestry. Another seven disciplines were highly ranked in the QS Rankings, including Philosophy, Environmental Sciences, Biological Sciences, Sociology, Education, Geography, and Medicine. This consistent world-class performance across multiple disciplines is a testament to the strength and diversity of our research. The World University Rankings released by Times Higher Education (THE) also reflect our achievements as a world leader in research, placing our institution in the top 350 universities in the world. The University of Tasmania is highly regarded internationally for teaching and academic excellence. Our lecturers and tutors have the opportunity to engage with students individually and offer the personalised advice and guidance not available at larger institutions. Our diverse range of degrees, student exchanges, and learning experiences offer students a unique educational experience and excellent preparation for their future careers. We offer more than 100 undergraduate (bachelor) degrees, and more than 150 postgraduate programs, from graduate certificates through to research degrees. These range across five colleges and three specialist institutes, and include degrees in architecture, environmental management, engineering, medicine, nursing, business, finance, ICT, and aquaculture, and more. The University of Tasmania’s island location offers exciting research opportunities rarely found elsewhere. Here, researchers can take advantage of a contained, socio-ecological system in which to observe and understand some of the most significant challenges facing Australia and the world. Our research is global in scope, with distinct Tasmanian specialisations. 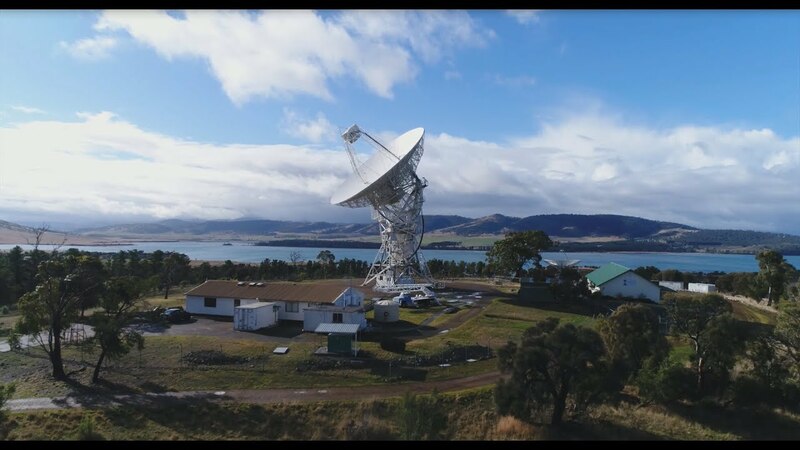 Our location also offers us privileged partnerships with State government as well as agencies such as CSIRO and the Australian Antarctic Division, providing a rich intellectual environment and access to specialist facilities. The University of Tasmania has continued a sustained climb in high profile international rankings systems this year, confirming our place amongst the best universities in the world. The 2019 QS World University Rankings result of 287 is another significant leap forward for the University, climbing 26 places and ranking amongst the best in the world for Earth and Marine Sciences and Agriculture and Forestry. Another nine disciplines are highly ranked in the QS Rankings, including English, Biological Sciences, Chemistry, Education, Environmental Sciences, Law, Medicine, Sociology and Economics. The World University Rankings released by Times Higher Education (THE) also reflect the University’s achievements as a world leader in research and teaching, placing it in the top 350 universities in the world. The University ranks amongst the best in the world for Law in the THE subject rankings and also highly ranks in the Arts and Humanities, Social Sciences, Life Sciences, clinical, pre-clinical and Health and Physical Sciences disciplines. Partnerships in more than 123 nations around the world. Research fields rated above world standard. Higher Degree Research (HDR) candidates at the University in 2016. Of these, 36% are international. Life as a University of Tasmania student is much more than attending lectures and tutorials. It is also about creating a network of colleagues and friends, developing new knowledge and skills, and enjoying a happy and healthy life. All our campuses offer students on-campus accommodation, clubs, societies and sporting options. There is plenty to do beyond our campuses too, whether it is enjoying Tasmania’s vibrant café scene, live music or theatre, shopping, food and arts festivals, sporting events, or museums and art galleries. Tasmania is a wonderful place to be a student. Tasmania is the best place to experience a quality education in an extraordinary location. Our State is known for its pleasant, temperate climate, internationally-significant wilderness and heritage sites, and cosmopolitan lifestyle with a strong arts culture. Tasmania is known globally as a place of unique beauty. It is famous for its picturesque wilderness with more than 40 per cent of the state protected in national parks and reserves. Tasmania was also listed in Lonely Planet's Top 5 Must Visit Destinations 2015, and as one of the Top Five Islands of the World by Travel and Leisure Magazine.